The Orange Credit Card was recently launched by Orange in partnership with Barclaycard, the financial institution that first introduced credit cards into the UK. Today, Barclaycard has a global presence in over 60 countries, catering to the requirements of individuals as well as companies. The Orange Credit Card, issued by Barclay, is the ideal credit card for you if you want to get rewarded with points whenever you make purchases and remain in complete control of your money. This credit card comes with 0 percent interest on all balance transfers made during your first 12 months as card holder although a handling fee of 2.5 percent applies. Besides, you can manage your credit card account through your iPhone. The credit card also comes with something called “contactless payment technology,” an innovative, brand new, simple and quick way to make purchases worth £15 or lesser. Whenever you spend £1, you will get 1 Orange credit card reward point; and when you have enough of these points, you can redeem them for discounts on your Orange phone bill or extra credit, vouchers, tickets to special events, vacation packages, discounts on mobile accessories and brand new mobile sets, donations to charitable organizations such as UNICEF or Guide Dogs. Your Barclaycard Orange Credit Card comes with 0 percent interest on all balance transfers made during the first 12 months and 0 percent on all Orange purchases made during the first 3 months. However, Orange might withdraw this promotional offer any time. Your Orange Credit Card has an APR of 18.9 percent variable, a minimum credit limit of £250 and a maximum credit limit depending on the status of the applicant, as well as zero annual fees. You can easily control you money as an Orange credit card holder because Barclaycard will send you frequent text alerts to help you track your spending. This includes weekly balance alerts, reminder alerts to pay your monthly dues, alerts on your monthly or weekly spending limits and any personal alert you might choose to set. You will continue receiving text alerts as long as you are an Orange Credit Card holder although your text alert might not contain information regarding transactions made during the past 24 hours. 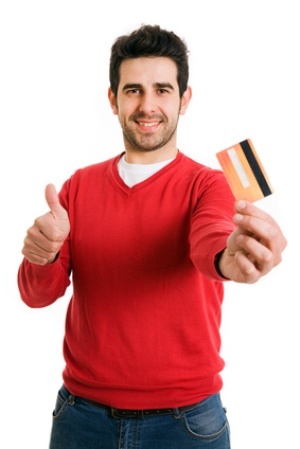 Anybody can apply for an Orange Credit Card; however, they should meet certain qualifications. If you want to get rewarded whenever you purchase something; are above 18 years of age; aren’t studying full time; have paid all your dues on loans, credit cards and mortgages during the past 12 months, or in other words, have a flawless credit history; have never gone bankrupt in your life; haven’t had any Individual Voluntary Arrangements (IVAs) or County Court Judgments (CCJs) during the last 5 years; and have never applied for and been denied an Orange Credit Card recently, you are eligible to apply for an Orange Credit card.